The man who invented tarmac was a chap called Edward Hooley. He noticed a smooth surface outside an ironworks in 1901 and when he asked what had caused it, he was told that a barrel of tar had spilled. The following year, he patented the method of heating tar, adding slag and breaking stones into the substance which resulted in the creation of tarmac that we see on all roads today. 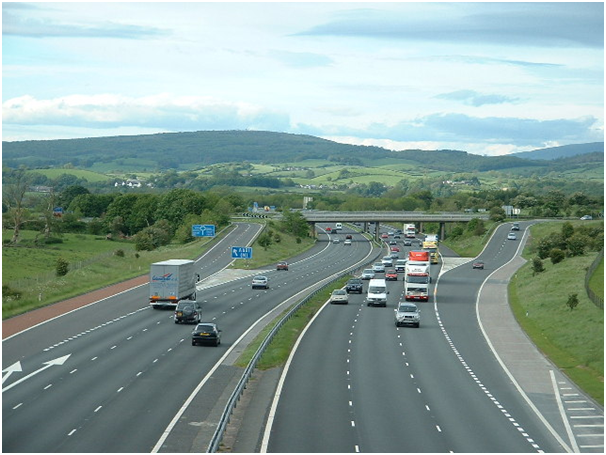 The longest motorway in the UK is the M6 which runs from Catthorpe in Leicestershire up to the border with Scotland. It’s an impressive 236 miles long. The first motorway to open in the UK was the M6 Preston Bypass which ran for 8 miles and opened in 1958. When the M1 was first opened in 1959, it was a lot more dangerous than it is now. There were no crash barriers, lighting, speed limits or central reservation! The country’s first roads were built during the period of Roman occupation between 43 and 410 AD. Famous for their long, straight stretches, these roads were constructed for the transportation of trade goods and the military. Many hundreds of people are employed up and down the country to work on the maintenance and safety of the highways. 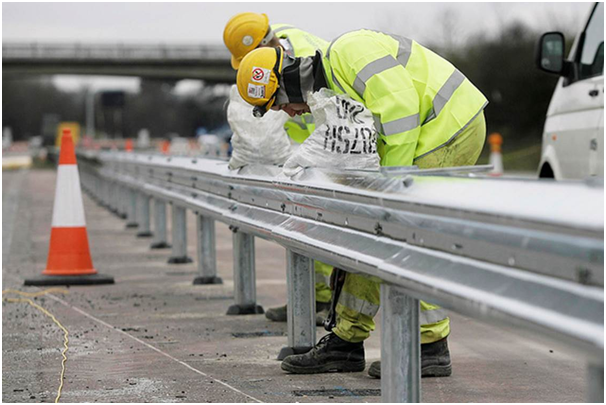 Britain has over 200,000 miles of roads and motorways that need constant monitoring and upkeep. If you think potholes are bad in your local area you might not be surprised to find out that potholes account for 33% of all mechanical vehicle problems in the country. This damage is said to cost the motorists approximately £2.8 billion each year. We have had pedestrian crossings on our roads since 1943 but they only started being painted black and white in 1951. Do you believe in ghosts? With Halloween fast approaching, you might want to take a drive up the M6 on October 31st as it’s one of the most haunted roads in the country! There are an unusually high number of reported ghost sightings on this stretch of motorway, from Roman soldiers to a crazy woman at the side of the road. If all of the potholes on our roads were joined together, they would make a hole the size of the Isle of Wight! The first ever traffic lights were installed outside the Houses of Parliament in Westminster. They were gas-lit and had to be manually operated back in 1868. Next Story → Where can you see live music in Birmingham?